Impress your guests with a Southern-style dish, taken straight from Chef Collin’s own recipe book. Here’s how you can make this Grassroots classic. Let’s start with the brown sugar rub. Mix all ingredients together and set aside, we’ll need this in a few moments. 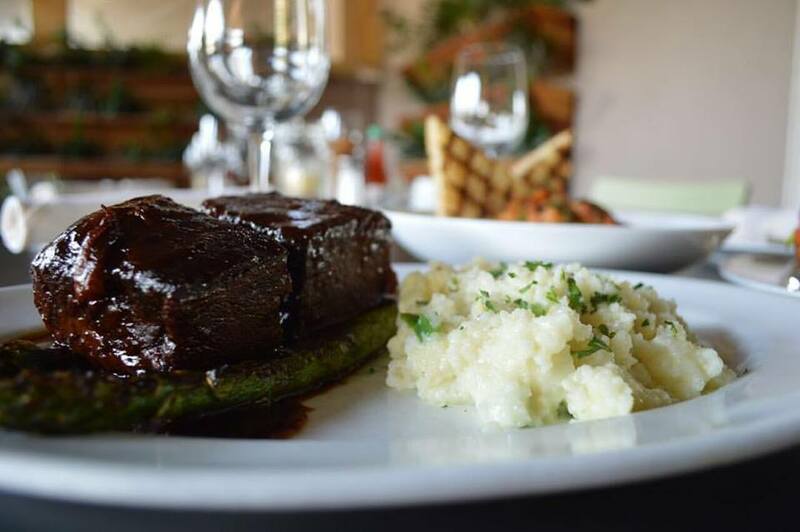 To prepare the braised short ribs, preheat your oven to 350-degrees. Pat dry the short ribs. Next, coat all sides of each cut with your brown sugar rub. Heat a large pot on medium-high heat and add four tablespoons of olive oil or bacon fat. Careful, do not bring heat to a high temperature, the sugar on the short ribs will burn. Working in small batches, brown the tops and bottoms of the ribs, transferring the browned cuts to a clean braising pan. Once all ribs have been browned and removed from the pan, add the leftover oil or fat to the pan and turn to high heat. Next, add onions, carrots and celery, and sauté for about 10 minutes or until soft. With a rubber spatula, scrape the bottom of the pot, this will release the charred flavor of the ribs. Add some garlic and cook for five minutes while stirring. Next up, add tomato paste and cook for three minutes. Combine red wine, chicken stock, thyme and bay leaves to the mix. Bring it all to a boil and simmer for 15 minutes, then, pour over short ribs. Cover your pan with two layers of foil. Bake in oven for three hours. When the time is up, remove the pan from the oven, open one corner of the foil and allow it time to cool on your countertop. Remove short ribs from braising liquid, strain braising liquid and reserve for your glaze. For your short rib glaze, add your strained jus to a sauce pan and bring it to a boil, then reduce by half, about 20-30 minutes. Add some hoisin and honey and mix well. Finally, brush the glaze onto your short ribs before serving.